With summer quickly approaching, I can’t help but enjoy the sunshine that has come with it. 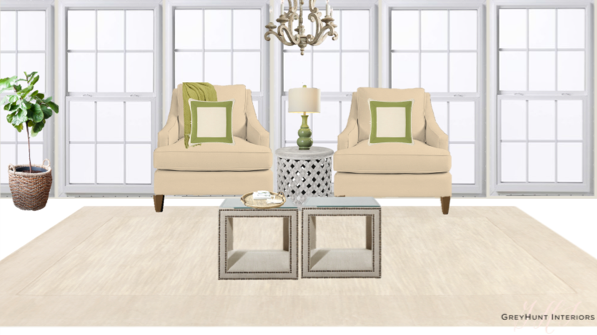 And just in time for the sunshine, I completed a design for a clients sunroom. While my client and I get furniture moved in and the room becomes finalized, I wanted to share some of my favorite sunrooms with you all. 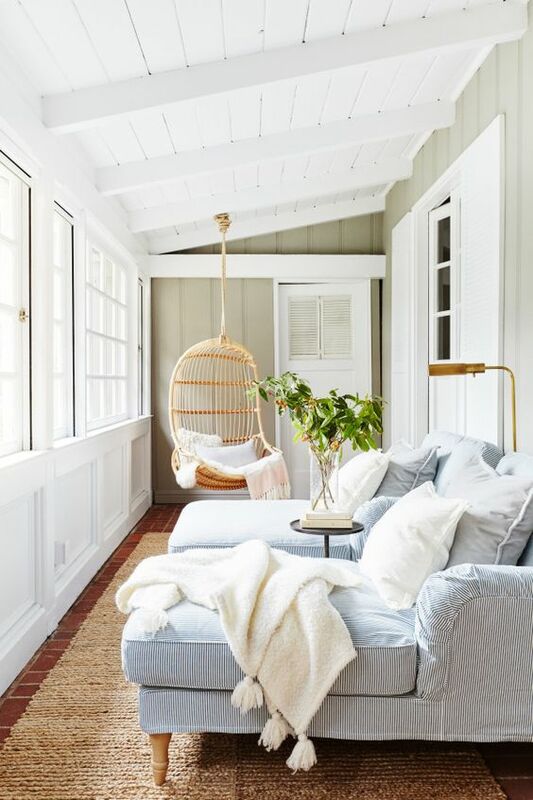 And since we all don’t have sunrooms, like myself, a great way to let the light in is by changing up your drapery by going for something sheer and bright! Hopefully you get inspired! One part of the design plan I completed for my client. I love that she went with a pop of green! I love the way they made use of this small space! So cozy. Design by Banner Day, photo by Colin Price. Could you imagine eating breakfast in here every morning? What a way to start your day. Design by Candelaria Design Associates. I love how this really brought the outside in. Design by Hendel Homes. Love this office/sunroom! What a great space to work in. Design by Studio McGee. Such a cute sunroom, love the built ins! Design by Forsyth & Brown.